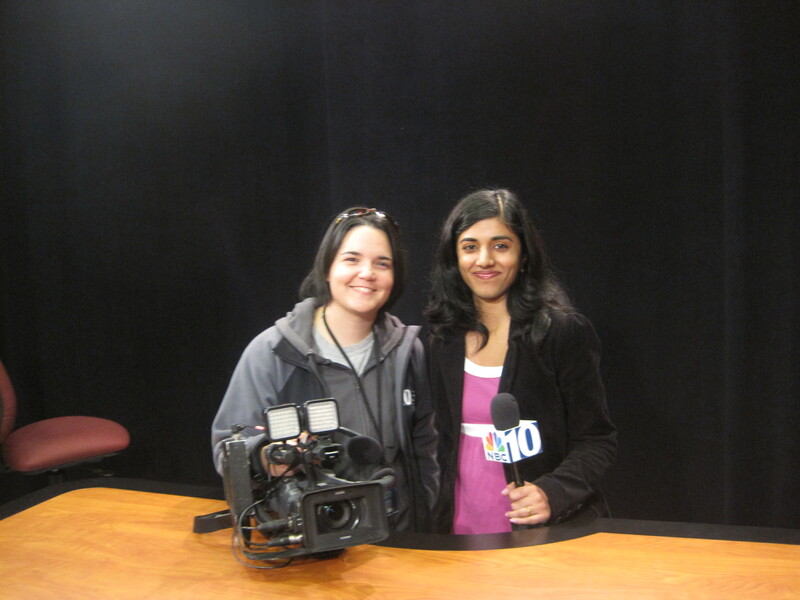 Today I was with the video production crew in the Cabrini College video lab filming the wake up call. We did a group shot at first and then individual shots for anyone who was interested. Mostly everyone did the single shot. The entire video production crew didn’t show up surprisingly so it was a small group. I did both, because I feel it is good exposure. I’m not surprised that I did a really good job, especially for the solo shot. 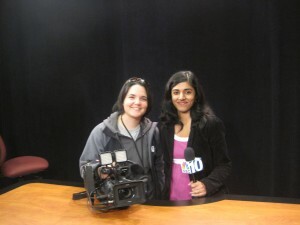 NBC10 news should be airing the wake up call in the next couple of weeks, So tune into see us on the morning news. I can’t wait for the footage to air on TV. This entry was posted in College and tagged Cabrini College, NBC, NBC10, Wake up call, WCAU. Bookmark the permalink.